HELOC’s capped at 65% but some exceptions still apply.. 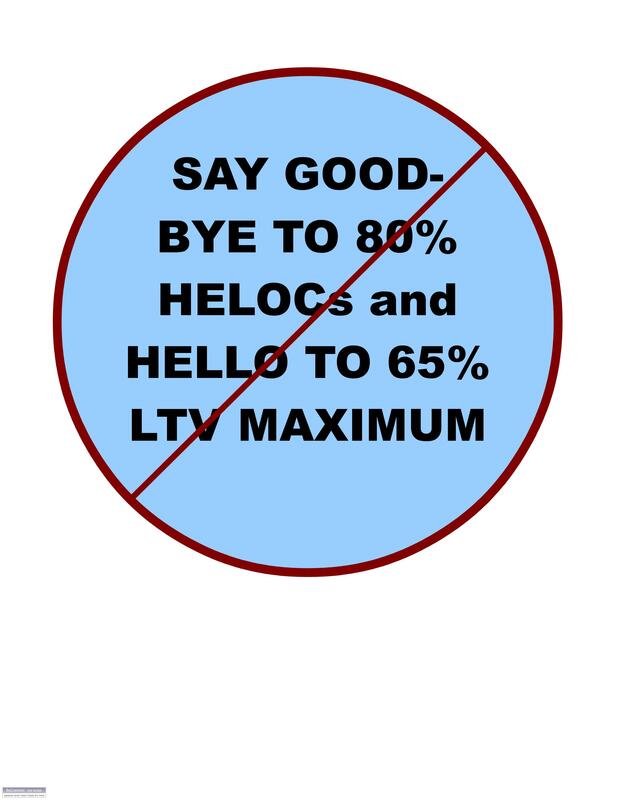 Earlier this month marked the beginning of the end of 80% loan to value HELOCs. Several Banks and of the Financial Institutions began to cut back the maximum LTV from 80% to 65% as per OSFI’s regulations. But there are a few loopholes in the new rules…. The good news is that existing HELOC clients don’t have to worry.. these changes don’t apply to them. OSFI is allowing them to keep their HELOCs at 80%…. Only OSFI regulated Financial Institutions are affected… Provincially regulated FI’s aren’t affected… Credit Unions don’t fall under OSFI’s rule… there are still some Credit Unions offering HELOCs to 75% and even 80% loan to value. Some of the Banks are still offering a combination of a HELOC and a mortgage of up to 80% ltv as long at you have at least 15% of your balance in an amortized payment schedule, and not interest only payments. There is more good news… The BIG SIX BANKS can’t offer you an 80% LTV HELOC but the credit unions can… Maybe Canadians will start to seek other Lenders……They may finally discover that there much better options out there. Watch for the Credit Unions to take a chunk out of the BIG SIX BANK mortgage pie. Not sure where you fit in? Call me for details. Previous Previous post: Bank of Cda doesn’t change rate…U.S. Fed not to raise rates until 2015? CanadaMortgageNews.ca HELOC’s capped at 65% but some exceptions still apply..